For many people, hiking provides them with the ultimate adventure. This is something you can do on your own, with a partner, with friends, and even with family members. When you go hiking, you can enjoy a totally unique outdoor adventure that lets you get close to nature, enjoy the wholesome fresh air, spend time outdoors, and enjoy a variety of new experiences. In order to make the most of your hiking trip, you do need to ensure you have the right equipment and gear to take along with you. By planning ahead and getting yourself organized, you can take the stress out of the whole process and ensure you have everything you need for an exciting and memorable hiking trip. So, what are the key items you need for your hiking trip? Well, first off, you should make sure you have a good, high quality backpack so you can carry all the items you need to take along with you with ease. There are plenty of different options available with bags of all sizes on the market. So, finding the right one for your needs won’t be an issue. You also need to make sure you have the right clothing for your camping trip, which means taking along a raincoat in case of bad weather as well as buying clothes that you can layer so you can add or remove as necessary. A good pair of hiking boots is essential, as these provide you with practicality as well as comfort when you are hiking. If you are going to be camping over as part of your hiking trip, you need to ensure you have a suitable tent. A pop up one is ideal, as these are lightweight and very easy to put up so you won’t be left struggling. You also need to ensure you have a comfortable sleeping bag for your trip. There are many different sleeping bags you can choose from, so you can find one that fits in with your budget as well as your individual needs. You can get different sizes too so you can choose from single and double bags depending on your needs. If you plan to hike in unfamiliar territory, it is advisable to take along a compass so you can get your bearings while you are on your trip. In addition, make sure you invest in a good, solid water bottle to carry around with you so you can stay hydrated while you are camping and hiking. If you plan to camp for a few days while you are on your hiking trip, make sure you look at extras you may need such as a camping stove for cooking. By planning ahead and making sure you list everything you need, you can ensure you don’t miss any vital items you need for your camping and hiking trip. You can then make the most of your outdoor adventure and enjoy a really memorable and exciting experience in the great outdoors. 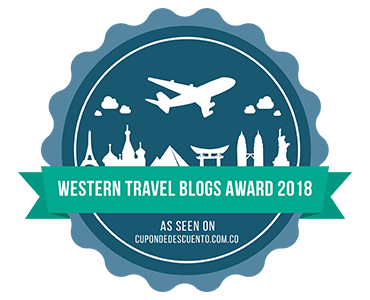 Hiking Las Vegas Blog won another award, the Western Travel Blogs Award 2018. Hiking Las Vegas began blogging before the term blogging became popular. Our first article was all the way back in 1998. Since then we have authored well over 600 articles! We will continue to post articles that help inform all hikers. This blog covers hikes and routes in Red Rock Canyon, Lake Mead Area, Mt. Charleston, Zion, Grand Canyon, The Sierra and other hiking areas in the Southwest. We have found and documented many routes in Red Rock Canyon and Mt. Charleston. We also authored the book: Hiking Las Vegas, an Amazon best seller and are the creators of the 52 Peak Club. The 52 Peak Club helps you hike to the best 52 Peaks around Las Vegas. No more getting lost! Each time you hike to a peak with the 52 Peak Club you earn an unique card. Your goal: earn all 52 cards by hiking all 52 Peaks. ​During your journey you will overcome your fears, push yourself more than you thought possible, ​and have the time of your life. Our YouTube channel has over 300 hiking videos. You can find articles on the blog by clicking on the month (to the right) or the categories. You can search the site in the upper right corner and also connect with our Facebook hiking group page and our YouTube channel. You can also become a VIP member of this website where you will have access to over 400 hiking guides throughout the US. Think of it as an ebook that's well over 2,000 pages! Of course you don't have to download all the hikes at once. You can download the hikes that you want to do. The hikes will display on any device that can read a PDF file (most devices can). Palm Springs has long been a sought-after vacation destination for the rich and famous. It’s no wonder that hiking may not initially come to mind when imagining an escape to this city in the Sonoran desert. However, within a 60-mile radius of Palm Springs, CA., area, you can find an abundance of scenic desert hikes, which is why it's fast becoming a favorite hiking destination. In fact, hikers come from around the world to take advantage of the luxurious Palm Springs vacation rentals while testing their fitness on some of the country’s greatest hikes. The following are six hikes that will encourage you to start planning your next trip to Palm Springs. This 7.2-mile-long trail is of a moderate difficulty and will take roughly four hours for the average hiker to complete. Located on the southern boundary of Joshua Tree National Park, which is roughly one-hour from the heart of Palm Springs, this trail cuts through low mountains and offers spectacular views of wildflower, unique desert shrubs, and the famous palm trees for which the trail is named. It also travels along several fault lines, and you'll notice water seeping to the surface in some spots. At some of the viewing points along the journey you'll be able to see the region’s surrounding mountains, such as the San Jacinto Mountains located to the west. This hike is best in the cooler spring, fall, and winter months, as the heat can be oppressive in summertime. No matter the season, it’s essential to bring enough water for the entire journey. It’s also important to note that pets are not allowed on this trail. There are more than 25 miles of hiking trails in the Coachella Valley Preserve, and the Willis Palms Trail is a must-try. It's a 4.5-mile loop and is great for beginner to intermediate-level hikers. The Willis Palms Trail is one of several oases that can be found by venturing along the San Andreas Fault. Take your time to spot some of the 183 bird species and rare lizards, and you can complete this hike in just a few hours. If you're visiting the Palm Springs Art Museum, you may want to give yourself a little extra time to complete the Palm Springs Museum Trail. It's located behind the north parking lot of the museum and is a free hike that's just two scenic miles in length. However, with a 900-foot gain in elevation, you'll want to make sure you have proper hiking shoes and plenty of water. Bring a picnic lunch and enjoy spectacular views of the city and valley from the top. This is the ultimate hike for a day you don’t feel like venturing too far from the heart of Palm Springs. This trail takes hikers through the jungle-like river bottom of Palm Canyon, but it ends in the backcountry High Desert plateaus. The 6-mile hike offers a range of natural settings in a single journey. As you travel up to the plateau, you'll experience postcard-worthy views of the desert and the city of Palm Springs behind. A variety of waterfalls and exotic pools fed by small streams pass through rock gorges, creating an oasis type setting in an area known for desert sun and heat. The trading post at the start of the trail is a great place to have lunch upon your return. The Spitler Peak Trail is a strenuous hike for adventurers who are well prepared and experienced on more difficult treks. You’ll hike more than 2,000 feet in elevation and a 12.3-mile out and back journey. For less experienced hikers, it's recommended to complete three miles and then turn back along the same route. However, this difficult hike, which intersects the Pacific Crest Trail, is well worth the effort for those who are ready. The trail explores the San Jacinto Mountains to the west and east along Thomas Mountain and Garner Valley. The scenic journey makes for a great mountain experience and is available to hike year-round. Of course, the cooler months are best for this physically demanding hike. This six-mile hike takes about three hours to complete, but it's an easy hike and is great for hikers of all ability levels. The Mecca Hills, created by the convergence of fault lines, are located in the northeast corner of the Coachella Valley. Hikers will notice contorted, compressed land with vibrant colors due to the high mineral content of the soil. The hike involves passing through a slot canyon and you'll get to see a San Andreas Fault fracture close-up. Get an early start when you choose this hike as it can get hot during midday. Whether you're an experienced hiker or are just getting started, the Palm Springs area offers a variety of hikes to fill your vacation with adventure. Choose a simple walking trail to get started or try one of the more challenging hikes to take in the picture-perfect views from mountain vistas. Be sure to plan ahead and carry plenty of water, snacks, and supplies, and you’ll have an unforgettable time on any of these trails and the countless others in the area. All hikers, especially those who love to travel deep into the woods, face the possibility of getting lost. So, what effective solutions can you employ? You can use a GPS that can provide you the information regarding your location while hiking, which would help you feel safe. There are other tools you can use, such as a rangefinder. Some important factors in choosing a GPS include the unit’s display quality so you can read the GPS under bright light or dark skies. If you like to store waypoints in your GPS, you might want to buy a GPS with a larger memory capacity. Furthermore, you can choose a GPS which is lightweight and waterproof if you know that you are more adventurous and would likely encounter bad weather. After choosing a GPS, here are some ways how you can keep yourself safe when hiking! A GPS usually does not send any information because it is just a radio signal receiver with a logic chip that translates timing signals into Lat-Lon positions. Therefore, unless you buy a GPS that can attach to a cell phone or other transmission devices such as the ACR ResQ Personal Locator Beacons, you would not be able to send out distress signals. There are two kinds of transmitters which you can buy, the personal locator beacons and satellite messengers. Personal locator beacons give out distress signals by utilizing the Distress Alerting Satellite System (DASS). This method can only be used in emergency situations. Usually, we would use the satellite messengers when we are met with dangers. For example, there might be situations where we our hurt and we know that we need help. Satellite messengers can be purchased and used with your GPS to ensure help can be notified if needed. This is important because scouting would give you the information you need which is useful in emergency situations. By scouting properly with a quality pair of binoculars is also a great idea, a compact & lightweight pair is recommended. you would be able to understand the terrain you will encounter. Use internet resources such as Google Maps to look at topography or aerial views. This would give you a good idea about the landscape you will hike, and you can plan your hike more effectively. You can mark down locations which interests you using waypoints. These waypoints can be transferred to your GPS. When you hike, those waypoints can be used as your reference and the chances of you getting loss would be significantly reduced. You can explore different navigation methods that are available in your GPS and choose the one that is most comfortable to you. This is important because effectively using your GPS can keep you on your route and lower the probability of getting loss. Different navigational methods include navigating by touching 3D locations on your screen or you can follow Point of Interests which you have previously set. If you are not familiar with which navigational method is best for you, experiment! If you get lost, it would be much easier to get back to your route if you use your GPS correctly. A GPS can help you to make important decisions concerning which back-up plan you should use. Psychologically, a GPS can help keep you calm whenever you feel lost, which would aid you in making clear-headed decisions on how to get back on route. Also, a GPS assists you by informing you of your position, the orientation you are heading and by providing feedback on whether you are travelling to your intended destination. All of this information is imperative because missing any of them could mean that you are travelling the wrong way. Your coordinates, which is the latitude and longitude, can help you communicate where you are to your friends as well! You might want to seek help from them if they are familiar with your location. Learning how to use a GPS can go a long way in keeping yourself safe. Remember that your GPS is only useful if it works. It must be able to get satellite reception and you need to have backup batteries. You should also consider data sharing and how convenient is it to share data with the GPS unit you are using. With these tips you can reduce your chance of getting lost, and if you do get lost, you can make informed decisions. This will make sure that you are not the next hiker who gets lost and calls Search and Rescue. If you have any other tips on how to use your GPS, feel free to share below! Author Bio: I am John Lewis, a blogger, survivalist and outdoor enthusiast. You can follow me at Epic Wilderness. Georgia is a beautiful country with clean lakes and high mountains, warm sea and endless alpine meadows, rich forests and stormy rivers. Georgia is a country of great opportunities for travelers. You can spend an unforgettable time in a chic five-star hotel with a view of the sea, or enjoy the sunset by the fire in the forest. No matter what your choice will be, we are ready to help you. At this time we will take a virtual tour about the most beautiful and popular national parks in search of interesting trekking routes. Why is it advised to choose national parks for trekking? Of course, there are hundreds of other popular trekking routes around the country, however, if you have limited time and you want to see the beauty of the country, the national park is a perfect option. For more saturated hiking tours in Georgia just contact local tour operators. Borjomi health resort is a true paradise of Georgia. It became popular due to its healing mineral waters, clean air, and forests. Today we'd like to tell you about trekking in Borjomi- Kharagauli National Park. It will take more than 10 days to visit all the beautiful corners of the park. The part of the reserve is closed to visitors, but there are nine perfect trekking routes. On the way, there are parking lots with water and places for a fire, where you can organize camping. One of the trekking routes takes up to the Mount Lomi, which offers the best view of the park and the Caucasian Range. The national park of Borjomi-Kharagauli is a vast subtropical forest. In such a beautiful park with the pure air and virgin nature, you can spend the night in a tent, and meet the dawn with the singing of birds. Mtirala National Park is located in the Black Sea resort of Adjara, 30 km away from Batumi. Most of the territory is a subtropical forest. Due to the high humidity and mild climate, the flora of the national park is one of the most diverse in Georgia. Once in a park, you will feel in a fairy tale with virgin nature. In the deep forests of the park, you can find small lakes that look like from popular pictures of rainforests. The waterfall of the park is even more exciting. Looks cool to swim. There are two routes for trekking in the park. One path leads to the lake and the waterfall along the Kolkhide forest. The second one is longer and more complicated, it passes through the wild forests. Kazbegi Reserve is considered one of the most visited parks in Georgia. It is located on the bank of the Terek River, on the northern slope of the Caucasian ridge. On a large territory of the park, there are forests with more than 150 species of trees and plants, a great variety of fauna, historical monuments, and, of course, the ultimate, indescribable view of the Kazbegi mountain. The most of the park is covered with alpine meadows, mountain ranges and impenetrable rocks. The best season for trekking in the park is in summer. In the mountains, it is never hot for day trips. Winters here are severe. Lagodekhi National Park and Reserve is located in the gorge of Lagodekhi, in the north-east of the country, at the foot of the Central Caucasian ridge. The reserve was one of the first in the country. The park is more than 17000 hectares of wild nature including alpine meadows, forests, ponds, several lakes, springs and about thirty waterfalls. There are five routes of trekking along the most picturesque corners of the park. The passage of the longest route takes three days. This trail is suitable for both trekking and horse riding. In the park, you can rent tents for camping or stay at the hostel. Tusheti National Park is located in the historical region of Tushetia in the north-east of the country. On the territory of the park, there is a nature reserve, a landscape reserve, settlements and historical monuments. The weather in Tusheti is quite severe, and the best season for trekking is summer. Despite the climate, the reserve is characterized by a variety of flora and fauna. There are few water resources on the territory, however the spectacular view of the mountains covered with forests is incomparable. There are 11 routes of different length and complexity in the park. The routes pass along the architectural monuments and villages, where you can stop for an overnight. Why should you choose Tusheti National Park for trekking? First of all, it is about the picturesque mountains and nature. Plus, you will get acquainted with the locals and traditions, and at last, you will find out the secret of the longevity of the mountaineers. And lastly, we’d like to note that apart from Georgia hiking in Armenia (the neighboring Caucasian country) will also be an excellent choice. Therefore, we advise you to combine visits to these two countries and have Armenia and Georgia hiking tour. One thing’s for certain, trekking or hiking amidst the marvelous landscapes around Las Vegas sure does work up a healthy appetite. Thankfully, whether your base for adventures is within the city itself, or just a stone’s throw away from the neon lights and within the spectacular surrounding scenery, thankfully, there’s no shortage of great places to quench your thirst and encounter a wide variety of great cuisine. You'll never go hungry in Nevada! Las Vegas and its casino hub of The Strip boast some of the most renowned restaurants in the world, and with a plethora of culinary delights on offer, choosing where to eat can be a difficult choice to make. However, in this short guide we take a look at some of the more unique dining experiences, with great dishes arriving at your table and amazing surroundings to behold. Escaping from the broiling Nevada heat can often be a good enough reason itself, for those planning their hiking adventures in the Mt. Charleston area, which lies just 35 miles west of Las Vegas. From easier hikes such as the Bristlecone Trail and Fletcher Canyon, to more challenging and advanced hikes such as Charleston Peak via the North Loop Trail, temperatures are between 20 and 30 degrees cooler than those of the nearby city, thanks to the location’s elevation. For those making their hiking base in the fabled Sin City itself, combining the comforts of the many top-notch hotels and the buzz of the casinos with plans to visit the 52 Peaks within striking distance of the city, scaling the heights of the iconic Stratosphere tower brings a rewarding and unique dining experience. It’s particularly mesmerizing for the views over the city of Las Vegas and surrounding landscape, especially as the sun sets and the neon lights are aglow. Regarded as one of the 10 great casino restaurants for gamblers according to Betway Casino, and recipient of countless awards for the gourmet dishes on offer, the Top of the World is a dining experience that’s very much earned its reputation, with consistently high praise from over 5,500 TripAdvisor.com reviewers. Tucking into Kurobuta Pork Belly al Pastor, or Salmon with Basil Pesto Crust and Prawns, enjoying the 360-degree views as the restaurant steadily rotates; there’s nothing quite like it in Las Vegas. Billed as America’s most diverse national recreation area, Lake Mead is a glittering oasis in the midst of the stark and mountainous desert landscape, boasting 1.5 million acres of manmade and natural wonders for visitors to explore. From the Boulder City beaches to Hoover Dam in the west, Bonelli Landing to Temple Bar Marina along the south, or Echo Bay and the Overton Arm to the north; this sprawling location beguiles casual tourists and adventurous hikers alike. All around the vast waters, there are plenty of excellent points from which to take in the awe-inspiring views, but arguably one of the best vantage points is upon the lake itself. Aboard the Desert Princess, a classic three-decked Mississippi-styled paddlewheeler, Lake Mead Cruises combine dining and sightseeing to provide a unique experience. From a morning breakfast buffet washed down with champagne, to the extravagant dinner cruise menu beneath the stars, this is certainly a novel way to whet the appetite while taking in the sights. There are countless reasons why hiking in Red Rock Canyon is an absolute joy, with so many spectacular sights to discover. Delving through hidden gullies towards the Lost Creek Waterfall and Pine Creek Canyon, or climbing upwards to the always popular Las Vegas Overlook, it’s often recommended to make an early start and enjoy the cooler morning temperatures. Of course, it’s always better to do so after a hearty breakfast, because after all, it’s often considered to be the most important meal of the day. These are just a few choice selections to whet the appetite, for even the hungriest adventurers to enjoy, as they take to the trails and explore the best hikes around Las Vegas. Don’t forget to check through our blog regularly for more great tips before beginning your journey, along with friendly advice and suggestions, all aimed at helping you enjoy the many spectacular locations within easy reach of The Strip. Are you a student? Want to have fun, but need to adjust on a tight budget? Don't worry because there are some cheap hotels for students in Las Vegas! If you are a student and want to stay in the hotels in Las Vegas, then you have to think twice, because most of the hotels in Las Vegas are expensive and probably beyond your budget. But don’t worry; there are some affordable places for students in this city. In this post, I will talk about the top five cheap hotels in Las Vegas where you can afford as a student. You want to travel, but you need to write essays? Go to this web site and find a great base of an essay for yourself! ​A few of the most beneficial hotels provide palatial penthouses having en-suite bowling walkways, 10,000-square foot cottages with the rooftop patios, entry to the best pools of the city. And this can be all yours for approximately $35,000 per night. However, the visitor stats of the town have not swelled to almost 44 million people annually because of the celebrity guests and casino whales. For people with a limited budget, there are the places at an affordable price. When you're in Las Vegas, conserving money on accommodations does not mean that you'll sacrifice amenities or style. At such inexpensive resorts, you will sleep peacefully and save some money for an additional show or even the night out on the town. You should not let the price tag make a fool from you. This non-casino hotel half an hour from the airport is very glamorous for the room rate it suggests. It is set along the man-made Lake in Las Vegas. Westin features an awesome feel of Middle Eastern with the terra-cotta tones, luxuriant tile work, hanging lanterns and an outdoor-indoor aesthetic which entices you to go and swim in the pool or sit on the expansive patio looking over the water. What it does not have in terms bumping nightclubs or table games tends to make up for the beach bonfires, stand up paddle-board lessons, and entry to an eighteen hole golf course right to the next door. The latest addition to Caesar's family, this particular "Center Strip" casino had a complete rebranding and renovation in 2014, therefore, the rooms truly feel fresh and contemporary, and the entire resort still includes a little of that innovative hotel shine. Fashioned with the younger visitors at heart, the Linq provides rooms for any crowd with two queen beds as well as an additional lofted bunk (beginning around $69), inexpensive spa treatments (Himalayan salt-cave), in-room exercise carts filled with foam rollers and yoga mats available to visitors that are 100% free. Once it was the nightclub and celeb capital of the casino corridor, now the Palms is somewhat less bumping as well as a tad bit more relaxed. But most of the elements which made this the most popular of hot places still are in place, such as a sleek room with a sensational view (book Ivory tower, not long ago remodeled by Klai-Juba), the delicious restaurants (check out Andre Rochat Alize or N9ne Steakhouse). There are also many party options (the Ghostbar Dayclub changes afternoons debaucherous throughout the winter long) as well as one of the top concert locations in the city with a lineup that has had a mild refresh. The latest casino resort in Las Vegas started last winter just off the Las Vegas Strip with a focus on giving the guests a genuine Asian feel. What does it mean? Multi-lingual staff and signage; table games famous with the Asian gamblers; the restaurants serving Chinese street-food, modern Chinese delicacies, bao, seafood; and an outdoor/indoor tea lounge having a menu as opposed to somewhere else in the town. On the other hand, the decoration is glam and modern, from well-appointed visitor rooms to visual centerpiece of the resort, a 24-feet glass dragon-chandelier in the heart of the casino floor. Today's Hilton was originally opened nearly 15 years back as the Ritz Carlton, which implies nearly everything at the lakeside resort will be a somewhat more wonderful than you might anticipate. That applies to the formal garden, elegant pool, and opulent interiors, which results in a village of cafes and shops where one can easily grab a souvenir or a bite. On the other hand, two Jack-Nicklaus golf courses tend to be within quick reach and there is shuttle support to the Strip for whenever you wish to get the Vegas on. You will get the greatest of both the worlds to boot. The hotels mentioned in this post are really cheap and comfortable for students. However, you can make your own choice. Last but not least; I hope this post has helped you to a great extent. Don’t forget to share your opinions in the comment box below. Enjoy your stay in Las Vegas!